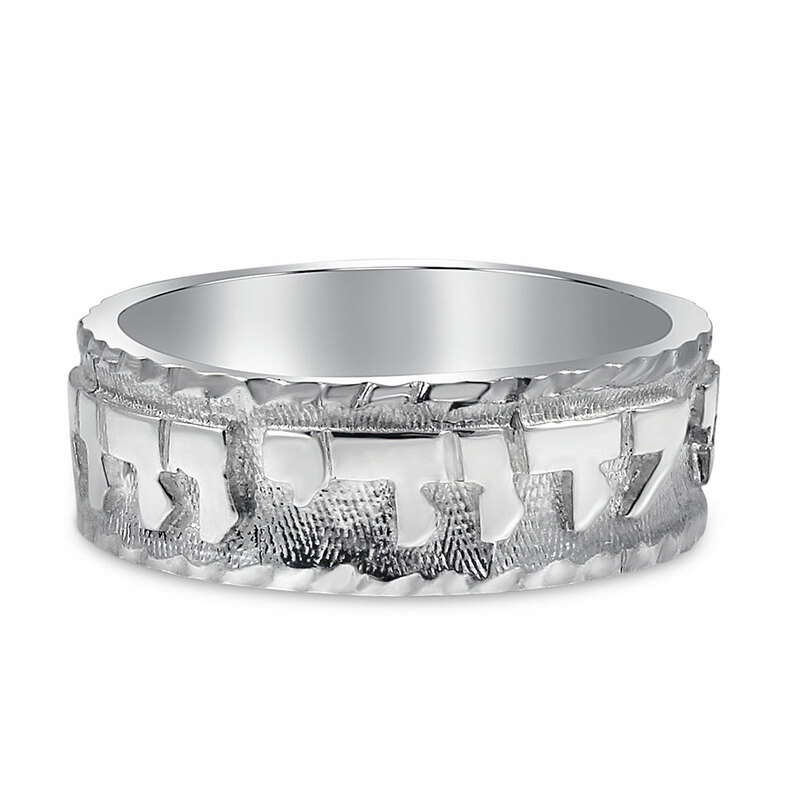 Sterling Silver Ani Le'Dodi Wedding Band. Traditional Fonts on a Florentine background and Diamond cut rims. Design by Bezalel. Luxurious comfort fitted. Made in the USA. Band Width: 7.5mm. 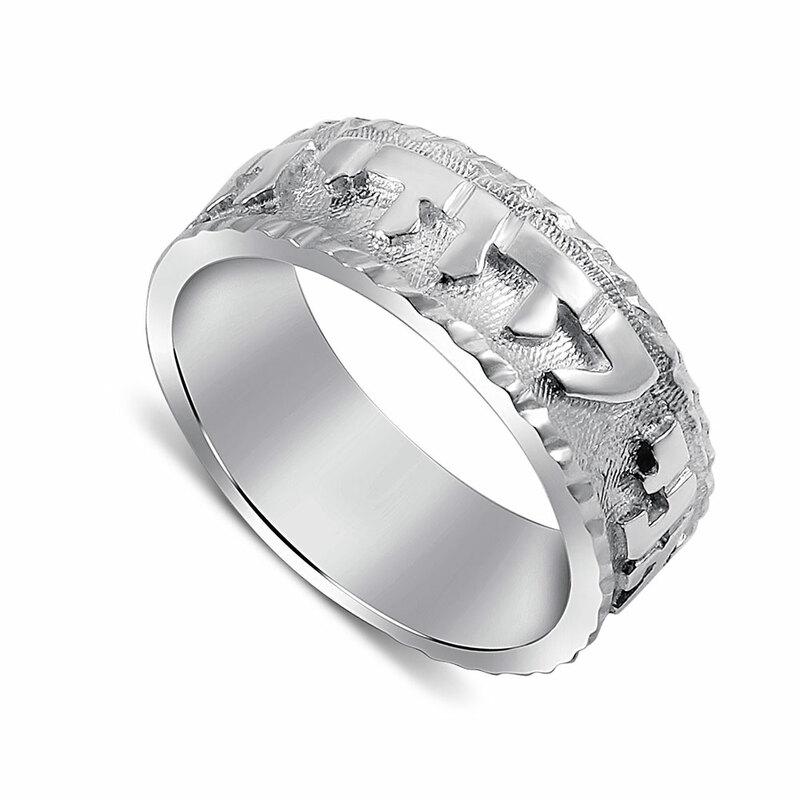 Please allow 10 days to ship this ring, for rush orders please contact us.